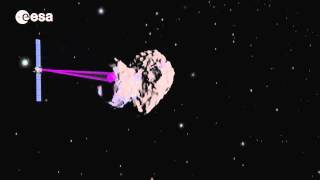 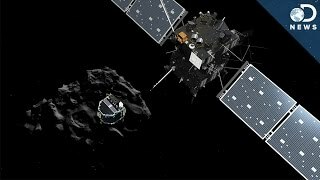 Animation visualising Rosetta’s trajectory around Comet 67P/Churyumov–Gerasimenko, from arrival to mission end. 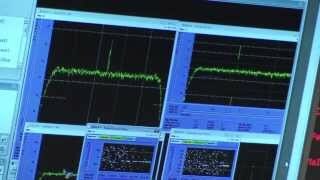 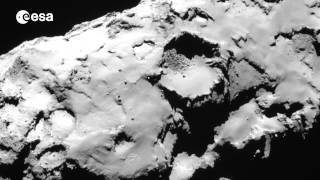 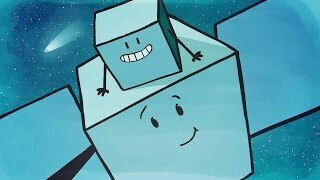 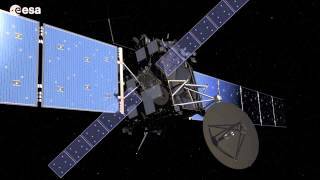 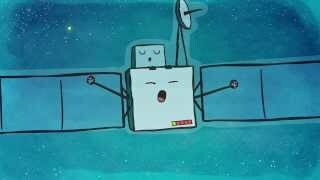 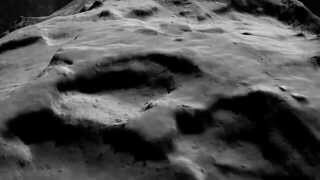 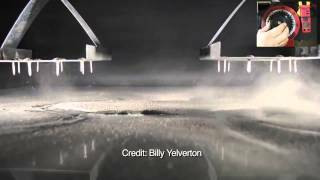 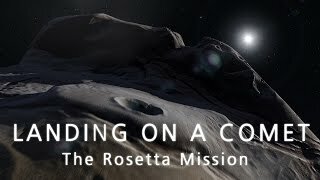 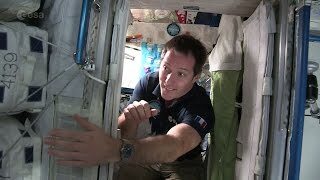 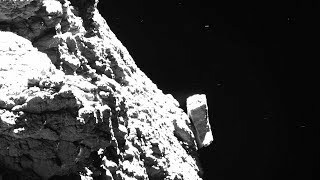 The animation begins on 31 July 2014, during Rosetta’s final approach to the comet after its ten-year journey through space. 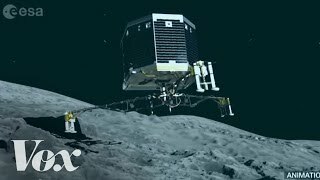 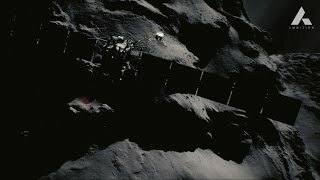 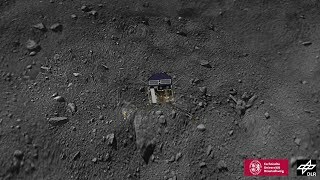 The spacecraft arrived at a distance of 100 km on 6 August, from where it gradually approached the comet and entered initial mapping orbits that were needed to select a landing site for Philae. 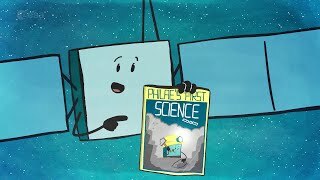 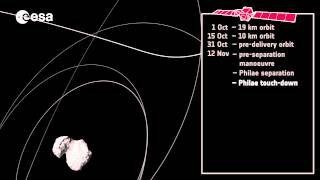 These observations also enabled the first comet science of the mission.The manoeuvres in the lead up to, during and after Philae’s release on 12 November are seen, before Rosetta settled into longer-term science orbits. 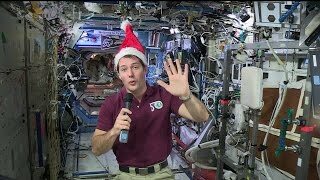 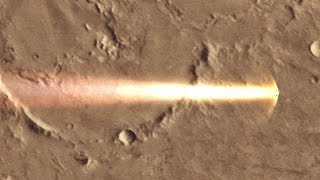 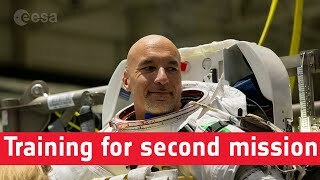 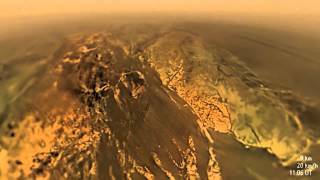 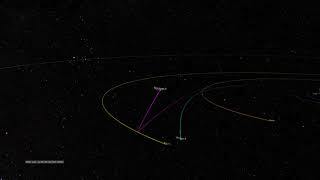 In February and March 2015 the spacecraft made several flybys. 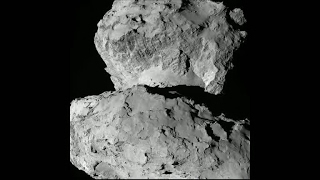 One of the closest triggered a ‘safe mode’ that forced it to retreat temporarily until it was safe to draw gradually closer again. 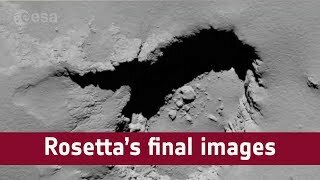 The comet’s increased activity in the lead up to and after perihelion in August 2015 meant that Rosetta remained well beyond 100 km for several months.In June 2015, contact was restored with Philae again – albeit temporary, with no permanent link able to be maintained, despite a series of dedicated trajectories flown by Rosetta for several weeks. 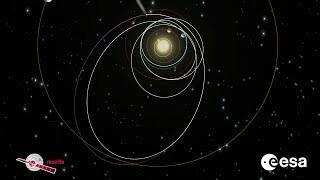 Following the closest approach to the Sun, Rosetta made a dayside far excursion some 1500 km from the comet, before re-approaching to closer orbits again, enabled by the reduction in the comet’s activity. 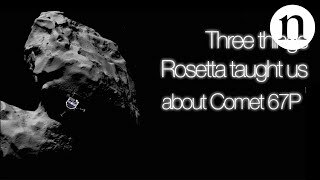 In March–April 2016 Rosetta went on another far excursion, this time on the night side, followed by a close flyby and orbits dedicated to a range of science observations. 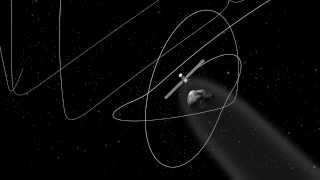 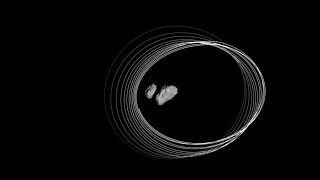 In early August the spacecraft started flying elliptical orbits that brought it progressively closer to the comet. 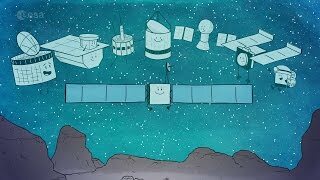 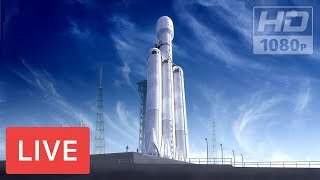 On 24 September Rosetta left its close, flyover orbits and switched into the start of a 16 x 23 km orbit that was used to prepare and line up for the final descent. 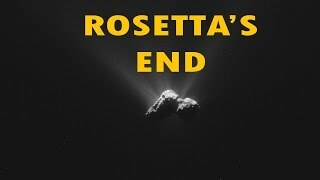 On the evening of 29 September Rosetta manoeuvred onto a collision course with the comet, beginning the final, slow descent from an altitude of 19 km. 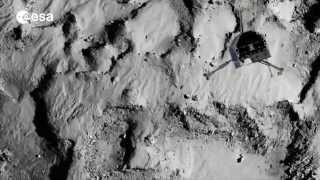 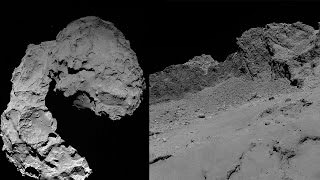 It collected scientific data throughout the descent and gently struck the surface at 10:39 GMT on 30 September in the Ma’at region on the comet’s ‘head’, concluding the mission. 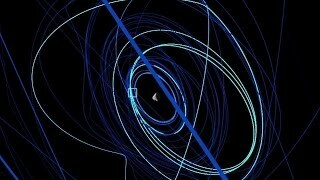 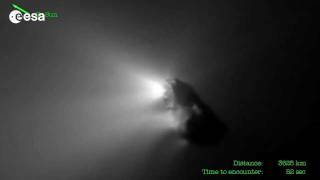 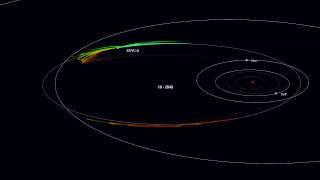 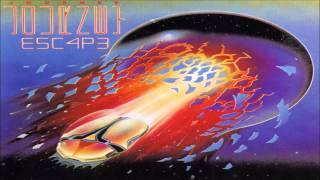 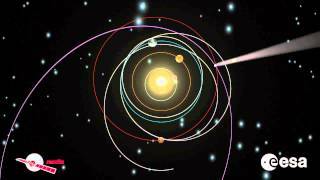 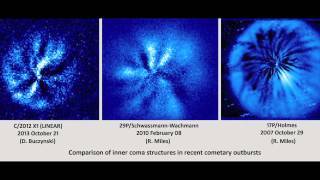 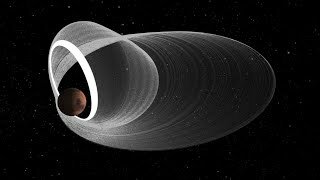 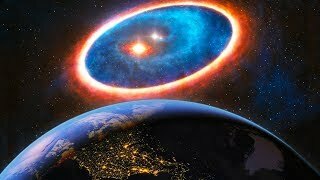 The trajectory shown in this animation is created from real data, but the comet rotation is not. 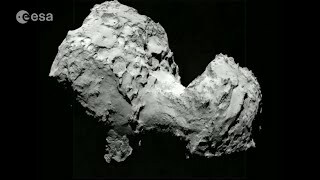 Distances are given with respect to the comet centre (except for the zero at the end to indicate completion), but may not necessarily follow the exact comet distance because of natural deviations from the comet’s gravity and outgassing. 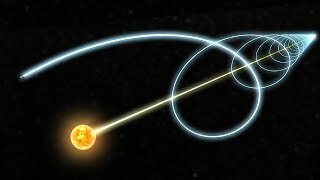 An arrow indicates the direction to the Sun as the camera viewpoint changes during the animation.